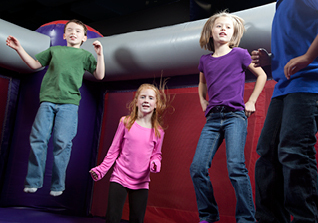 Children must be at least 34" tall and all guests visiting Bounce U must complete and sign our electronic waiver. The endless excitement of our inflatables and games is perfect for the whole family, and there's no better place to bond than BounceU. Children at least 34" are welcome for just $9.95 each. Parents (and smaller children) are free with paid children. Ask about pre-ordering a pizza ($3.25 per person) for the whole family Questions please call 856-429-6400. Completed waivers and socks are required to participate in the bounce stadiums. 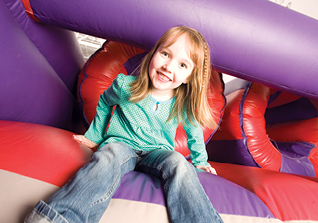 Crank up the excitement at Bounce U! 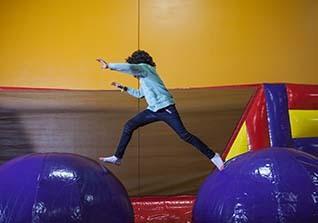 Try our Special Cosmic Open Bounce with awesome music and out-of-this-world lighting. It adds thrill to our inflatable rides and games and children enjoy their glow-in-the-dark accessories. 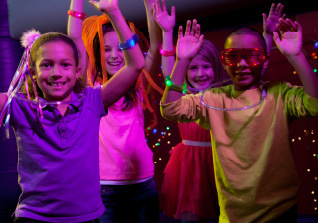 Guests will spend two hours in our two specially lit stadiums (rotating rooms every thirty minutes).This atmosphere is perfect for children who are not afraid when the lights go out and who enjoy this "after dark" spin on the Bounce U experience. Price is $10.95 per child. Prepaid reservations are recommended. Children must be 34” to play on our inflatables, and socks and a completed waiver are required to participate in the bounce stadiums. Sorry, no coupons, Groupons, passes or discounts are accepted at special events. The endless excitement of our inflatables and games is perfect for the whole family, and there's no better place to bond than BounceU. Children at least 34" are welcome for just $8.95 each. Parents (and smaller children) are free with paid children. Ask about pre-ordering a pizza ($3.25 per person) for the whole family Questions please call 856-429-6400. Completed waivers and socks are required to participate in the bounce stadiums. Bounce U originated this bounce with the primary goal of providing all special needs children with a safe, fun place to have open play. 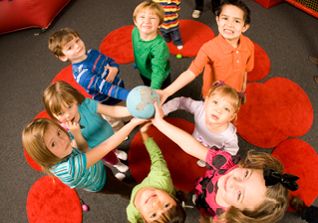 Sensory Rebound is limited to children with special needs and their families. 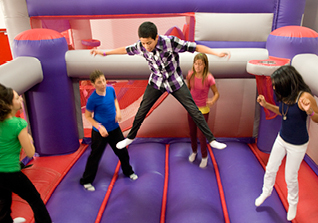 It is hosted in a vast indoor environment, giving children and their family members plenty of room to bounce and play safely. $8.95 per child, and parents are free. Completed waivers and socks are required to participate in the bounce stadiums. Reservations are not required but recommended.